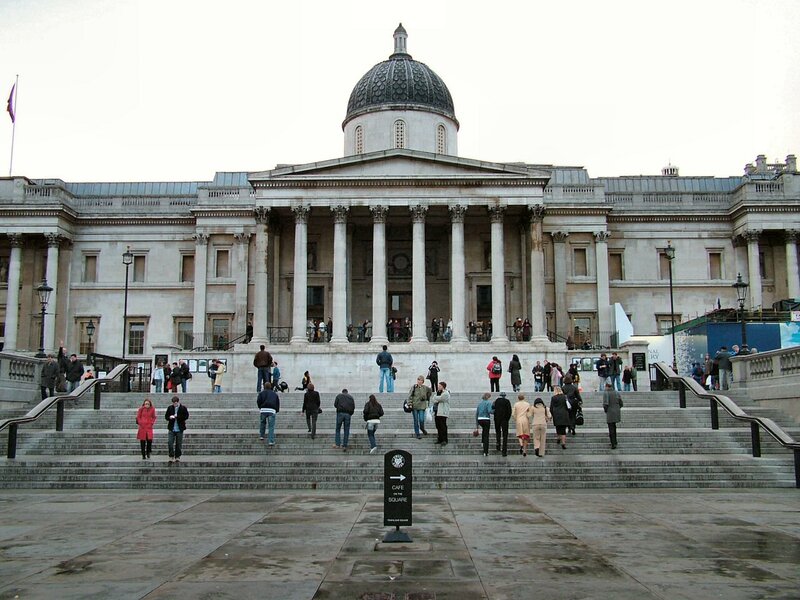 I just sat through three hours of Frederick Wiseman’s documentary National Gallery (2014), a film about the British national gallery of art in London’s Trafalgar Square that needs a damn good editing, marvellous though it is. Stupidly, I did not think to check how long it would be before paying for the ticket. Some way into the film (the 16.20 showing), even though I was enjoying it, I was getting hungry: how much longer would it be? A shot of evening streetlights lighting up Trafalgar Square: oh good, nearly done. But no: the next shot was another utterly fascinating silent sequence of an art conservator cleaning up a painting. Then another sequence of an art historian talking to a tour group about a painting and how to read it. Then a staff meeting sequence, in which the body language said far more than the passive-aggressive English mumbles of the arty upper classes encountering the middle-class forces of marketing. Then a shot of an evening opening for privileged guests; oh good, I thought, it’s very good, but surely we’re nearly done? But no. 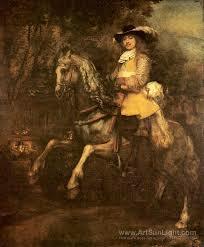 Portrait of Frederick Rihel, by Rembrandt: there’s a portrait of a man underneath this, if you turn the painting 90 degrees to the right. We moved into a wonderfully absorbing lecture about how a Rembrandt painting had been X-rayed to reveal an earlier and very unusual painting underneath. Then a shot of an exhibition being dismantled: oh nice, I thought, good way to end the film. But no: we were taken into the National Gallery’s finance meeting, where a snarky American suitman grilled the alarmed and diffident English finance director about her uber-cautiousness with the budget projections. If ever there was an illustration of disdain for indebtedness attacking sensible book-keeping, this was it. This was the pattern for three hours: wonderfully interesting vignette after vignette after vignette. If you were wandering round a large art gallery, could you do it for three hours? I need a break every hour, if not for food or drink, certainly a change in intensity in how I’m looking at what I’m looking at. This was strenuous viewing. I loved the gilding demonstration. I was fascinated by the delicate washing off of muck from an early 18th-century landscape by a conservator wearing telescope goggles. I was agog at the intercontinental rivalry when the French came over to combat the British about whether Watteau could read and paint musical notation or not from the evidence in a painting (read the biography?). I welcomed the appearances of the art historian in the Hussar jacket, because she spoke intelligently and well. I laughed out loud when the Scottish art historian pointed out Michaelangelo’s unpainted mobile phone. I was respectfully silent at the agonies over lighting a newly display-cased triptych, because the way the Master of the Hangings was snapping at his underlings was quite terrifying. This is a very good film, but a flawed film. There was no narrative, no scarlet thread of story to take us through an invented day, or to produce something linear for us to hang onto for three dogged hours. If I were new to the National Gallery, after seeing this film I’d absolutely go to see the pictures: there were innumerable shots of the paintings hanging in situ, speaking to us eloquently from their walls. I’d also be keen to sign up for a gallery tour or talk: these people really know their stuff, and can talk to the public, despite the marketing lady’s view that the gallery doesn’t do enough of this. The film is a terrific advertisement for an excellent British institution, but I would love to be a fly on the wall at the next team leaders’ meeting, once they’ve seen themselves looking like monochrome caricatures of the art establishment. I admired the clever way Wiseman matched the faces of people looking at the paintings, to portraits looking remarkably like them. He filmed poetry, life drawing, feeling paintings for the blind, and ballet in the gallery, but not enough ordinary human enjoyment. There should have been more jokes: the audience that I was watching with guffawed with relief at the tour guide’s Moses joke. More of the human response to art would have been welcome, rather than so many shots of respectful, silent, serious art appreciation. Art rouses the emotions: such a pity we couldn’t see more of that. I was so interested to read this because I saw this film at the Melbourne Film Festival last year and had very similar reactions. What I came away wondering, though, was just what the Gallery thought they were doing here. The overwhelming impression, as you say, is of the upper-classes being very determined to keep the hoi polloi out, and I would have thought the survival of the Gallery depends on broadening its appeal. I loved the confrontation between the surface-charming Director and the woman who was arguing the marketing case!